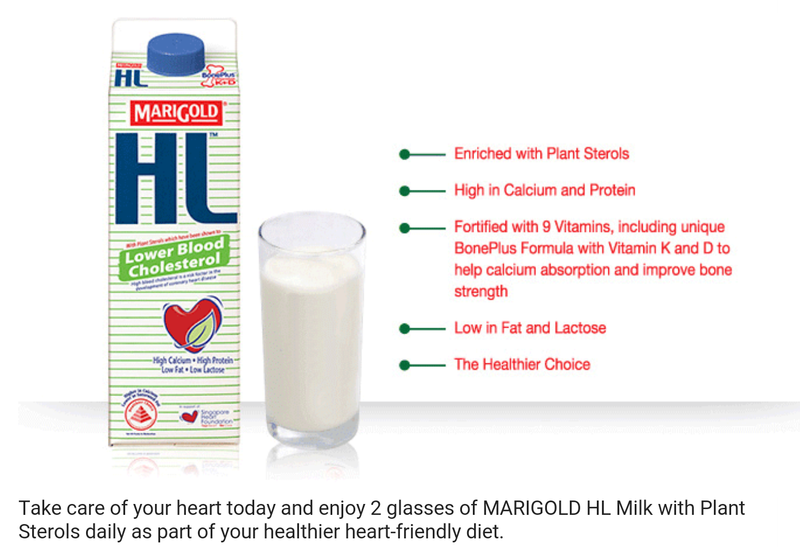 I was out at waterway point earlier today and saw Marigold HL’s booth. I went over to check it out and the promoters shared that there was a free check for cholesterol level. I have never thought about how important it is to know and maintain a good health condition of my body until my son was born. I started to experience a whole change in the body. So since I was there yap I decided to take the test. There was a queue and each test takes about 3 minutes. I waited for about 30 minutes before it was my turn to be pricked on the finger. The tests are conducted by staff from Sata Comm Health. It was a simple test to find out the total cholesterol level. It did not include the High Density Lipoproteins ( HDL) and the Low Density Lipoproteins ( LDL). The high is what they refer to as Good cholesterol and the low as Bad cholesterol. I had a hunch mine would probably not fare too well. Been lacking in exercise and sleep. The test result came out and I was a 5.99mmol/L. This means I am a borderline case and tipping towards the unhealthy range which is 6 and above! A few people who tested before me also had similar results. And it seems we are in the same age group. So it really does not just apply to people who are obese. It freaked me out and I frantically started reading up on cholesterol and what not. I was glad to know that total cholesterol is not conducive and I should seek the average ratio of total cholesterol divide by HDL. While I get a full report, I will pay more attention to the diet and exercise. 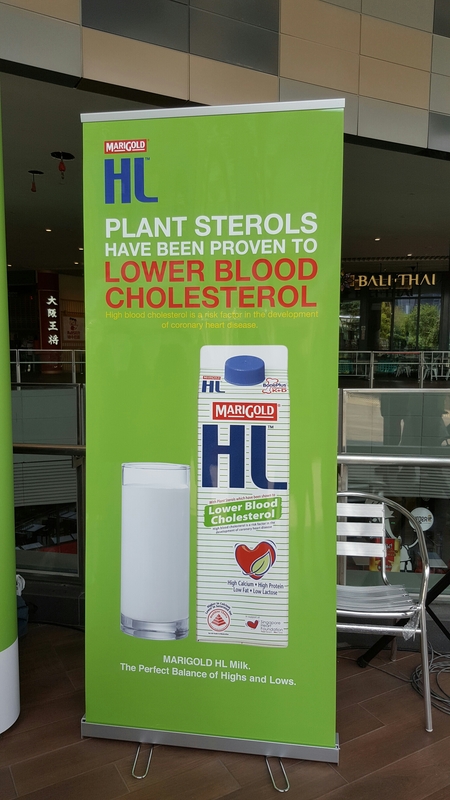 HL has come out with a new product that includes plant sterols which is supposed to aid in lowering cholesterol. As part of the launch, along with the free test they are giving away this new product to try. I found the new product on their website. Click on the link to read more about it. If you are new to the word cholesterol like me, you can read more about cholesterol via this article.